Are you an Elementary, Middle or High School student and want a way to support one, or more, of your classmates with special needs? 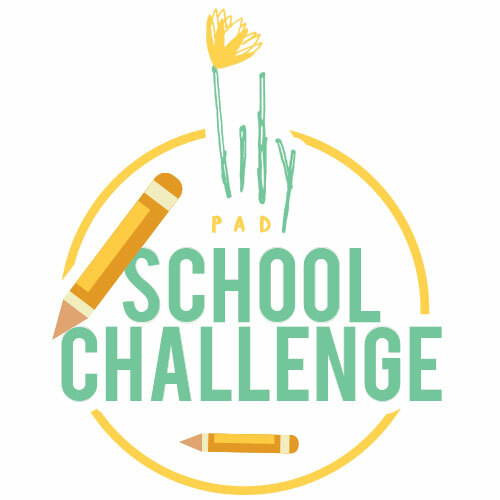 Sign up for The Lily Pad School Challenge! The School with the most sign-ups will WIN not only bragging rights, but also a custom award made by some of our loved ones that rock their extra 21st! First see if your school’s team has been created by typing in the name of your school (for example: “Brandon Middle”). If a team has already been created, it will show up and you can click on that team name to join. If not, type in your school’s name by clicking to “Create a Team”. After either joining/creating your school’s team, you will be asked which registration type you are signing up for. Select either the Fun Run, 3.21 Run/Walk or Food Row Wristband and make sure you point a quantity in the drop down box on the righthand side. This number represents how many students you are registering. If you would like a shirt, continue to scroll down and put how many shirts you would like. Select Check Out and complete the payment form.